The Land of Infinite Oreos – Love. Life. Practice. “Here’s the way you picture it,” he said, folding the bright green napkin into a long narrow tube. He flattened it horizontally between the two of them on the small table and opened the large bag of Oreos, stacking six of them on the right end of the napkin. “You’re here,” he indicated the other end, “and this is the beautiful green path to follow to the Land of Infinite Oreos.” He pranced his fingers along the path created by the napkin, and she giggled. He grabbed the hem of the napkin and gave a little flip, letting it unfurl into a bright green rectangle covering most of the table between them. “But this is a more realistic map: a wide field with many paths.” He took the stack of cookies and scattered them randomly across the napkin. “And any number of paths can lead you to the cookie you want.” His fingers began to journey again, wandering between the Oreos. “You may find one, and then decide you want a different one. 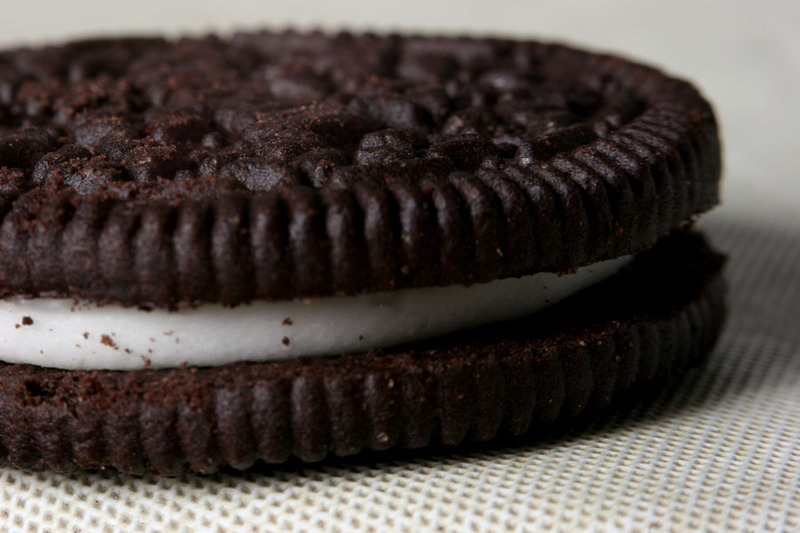 Picking one does lead you away from others…” His hand wandered towards particular corner, and he waved his other hand towards all the other Oreos left scattered on the rest of the napkin. “But that’s ok. If you discover you picked the wrong Oreo…you can change your mind.” Again his finger began prancing around the napkin, and she laughed again. “Yep!” he said. “You don’t get them all at once, but they’re all around you.” He picked one up and took a bite. “And you can always change your mind and pick a different Oreo. This post was not subsidized in any way by Nabisco. More’s the pity.